What Do Massive Open Online Courses Mean for the Future of Higher Education? 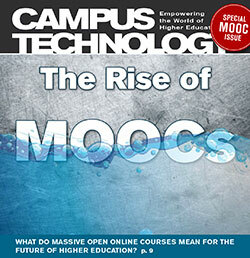 With MOOCs still mostly free, course providers are searching for a viable business model. Blended MOOCs: The Best of Both Worlds? Combining in-class instruction with MOOC content may resolve some common MOOC hurdles. As MOOCs are made available for credit, scalable assessment options are essential. The sheer size and diversity of the student body in a MOOC require a new approach to teaching. Massive class sizes can breed feelings of isolation, but they can also enable more student interaction. Alternative MOOC models are fostering creativity and collaboration with peers.